While much of our work revolves around the scanning of microfiche and other documents, we also carry out safe and secure record destruction procedures for clients that do not wish to retain their original documents. 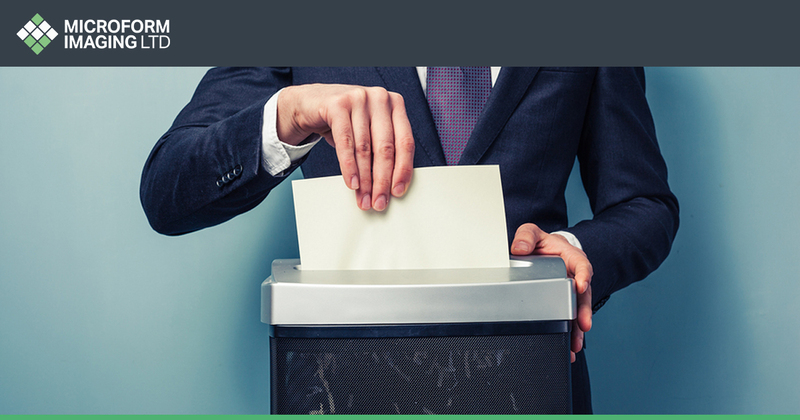 While discussing the document scanning process to clients we also introduce the option of safe document disposal. As many clients no longer have any need for their physical documents, we have secure disposal facilities within our grounds. This means that papers, documents, files, photographs and others are shredded and compacted before being sent for recycling. The process ensures that information retention is impossible. Due to the fact that we work with so many different types of clients – from academic institutions to medical organisations, and everything in between – we know just how important it is that sensitive and private records are kept safe and secure. There are many reasons why a business might want to destroy original documents once they have been scanned and converted into digital files. More often than not we find that companies no longer need their original documents, as their digital counterparts are then placed on secure servers, which can only be accessed via personal accounts and passwords. These companies then leave it to us to ensure the privacy and safety of their documents as they are shredded, compacted and recycled in our secure facilities. What documents do we shred? 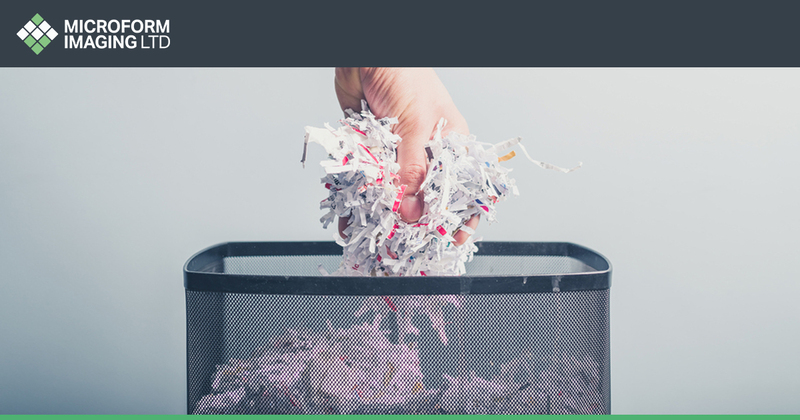 No matter what kind of documents we scan, we offer a shredding and disposal service to any and all documents within our care. As we work on a totally bespoke basis, if a business or organisation chooses to have some or all of its documents returned, we take the exact same security precautions to ensure their safe return. Why choose Microform for document security? Having been in business for over 50 years, here at Microform, we have worked with academic institutions, medical organisations, and some of the largest businesses in the UK. Working with a variety of highly sensitive and private documents throughout those years, we know just how important it is to ensure the security and privacy of anything and everything that passes through our hands. With this in mind, we enforce the tightest possible security, both in regards to the physical documents that we receive, and the digital counterparts that we create. Once documents are digitised, we ensure their security by uploading them to bespoke document management software, which can only be accessed via a username and password. We only recycle documents once they have been both shredded and compacted. Quite often a business might simply recycle important documents assuming that they will be disposed of and then recycled. As security is one of our top priorities, we know that this is not enough, which is why we go through such rigorous efforts to ensure than no information remains. With this in mind, there are also numerous environmental benefits to the shredding and recycling of documents. Not only will it look better to a company’s customer base, but a large quantity of energy and pollution can be saved from shredding and recycling. In fact, recycled paper produces 73% less air pollution than if it was made from raw materials. Additionally, it takes no less than 24 trees to produce one tonne of paper from raw materials. Is it possible to keep a proportion of my files? Of course, we often have clients who might want to retain certain files or papers, and we are more than happy to work with a client to discover what and what cannot be sent for disposal. If I do not want my files shredded, can I collect them myself? Yes, for clients who want to retain their documents, and do not wish for a delivery to take place, they can collect them from our facilities. 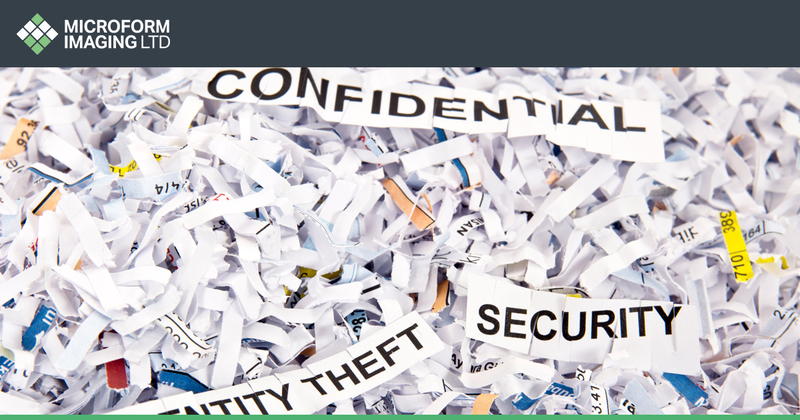 For more information on how we can help your business with important document shredding, visit our contact page, or call us on 01924 825 700.